Plus, Wyden and other Democrats promise Trump tax probe if they win the House or Senate or both, and Kitzhaber has a TV gig. 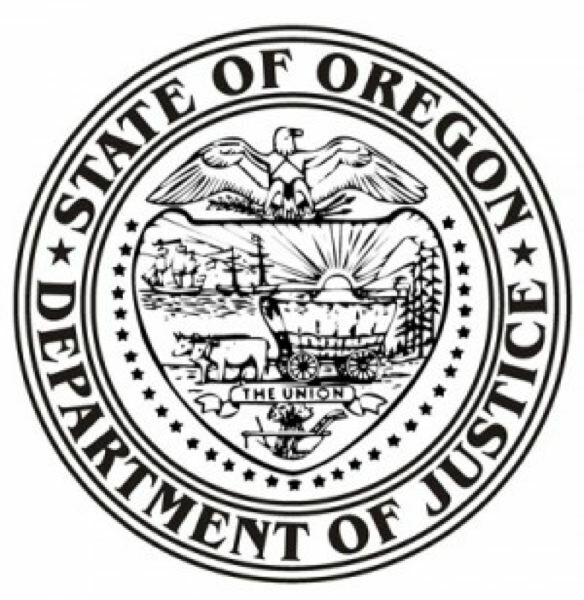 The Oregon Department of Justice could be a big loser because of the U.S. Senate confirmation of Brett Kavanaugh to the Supreme Court. According to an Associated Press analysis published shortly after Kavanaugh was sworn onto the court, Oregon is a party in numerous lawsuits filed against Trump adminstration actions on issues ranging from health care to the environment, consumer protections, immigration and other issues. Like in Oregon, all of the attorneys general in almost every suit are Democrats. The partisan slant of the filings show Oregon and the other states are vulnerable to partisan rulings by the court. The story quoted Pat Gallagher, director of the legal program at the Sierra Club, as saying that from now on, "we're going to have to find ways to keep cases away from the Supreme Court." Oregon U.S. Sen. Ron Wyden says he will request President Donald Trump's tax returns if the Democrats take control of the U.S. Senate at the November general election and he becomes chair of the Finance Committee in January. Wyden was quoted by the Wall Street Journal on Oct. 4 as part of its reporting of the controversy created by The New York Times extensive coverage of the Trump family's tax returns. Other Democrats in Congress said they also will seek the returns if their party takes control of either or both chambers in just a few weeks. Although Trump critics charge the returns obtained by The Times show civil and criminal tax fraud and evasion, Trump's attorney insists all of the transactions documented by the filings are legal and were accepted by the IRS. That argument is unlikely to derail any investigations by Democrat-controlled committees, however. Former Oregon Gov. John Kitzhaber has a new gig in the public eye — as the host of occasional travel segments in Oregon on KGW-TV News. Channel 8 made the announcement last week in a news release that did not overlook Kitzhaber's resignation as governor under pressure in February 2015. While it said Kitzhaber was the state's longest-serving governor, it also noted he also is "the only one to resign from office due to scandal." The announcement also detailed the scandal, saying he was under investigation at the time by federal law authorities in connection with his fiancee Cylvia Hayes' role in state government. And, it said Kitzhaber paid a $25,000 state ethics fine, although it quoted Kitzhaber as saying the "media frenzy" around the allegation was why he resigned. "We wanted our audience to hear a different perspective about some of these treasured places from someone who spent much of his public life fighting to preserve them," KGW Executive News Director Rick Jacobs said in the announcement.